This wedding theme is rarely stylish. 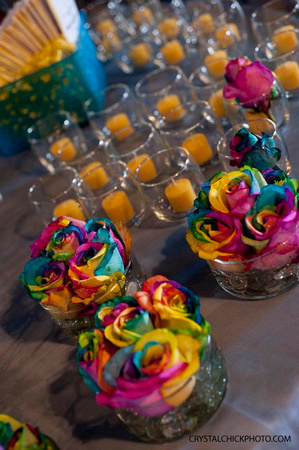 However here are some ideas to convince you that rainbow wedding decoration can be very stylish ! Of course finding and wearing the same rainbow dress is not the easiest thing to do. But there are other elements you can use to create a fashionable rainbow wedding decoration. One of them is obviously the wedding bouquet. Look at these roses ! They’re amazing, aren’t they ! Once in a wedding, your guests will really look at your wedding bouquet ! 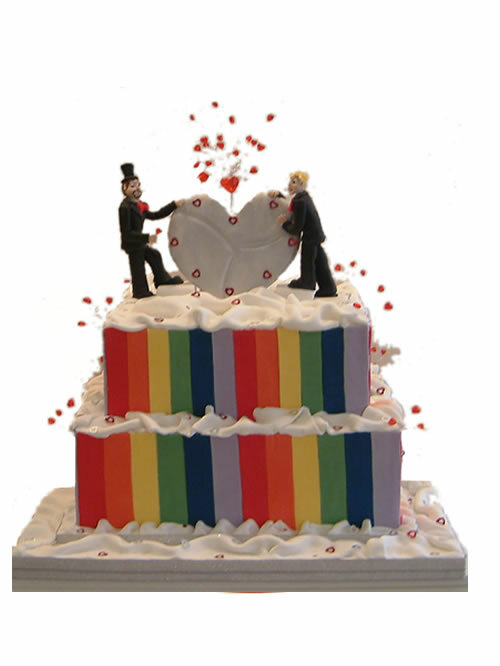 Wedding cakes can be also a good option to declinate your rainbow wedding decoration. But be careful, you have to design a very geometrical wedding and play with fruits or other. 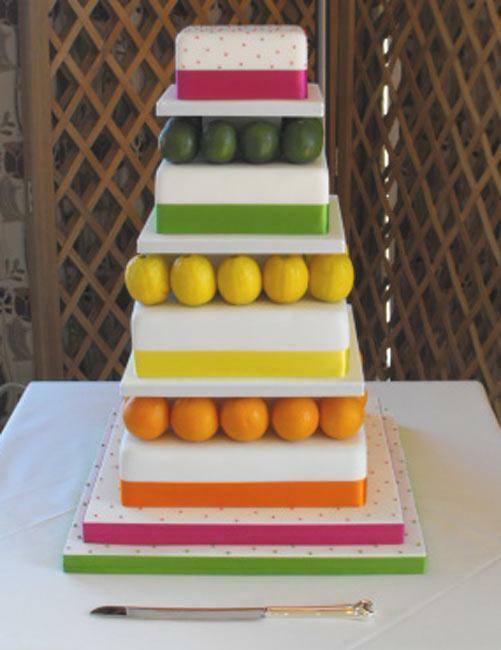 Indeed a rainbow wedding cake can be very stylish or on the reverse very ridiculous ! 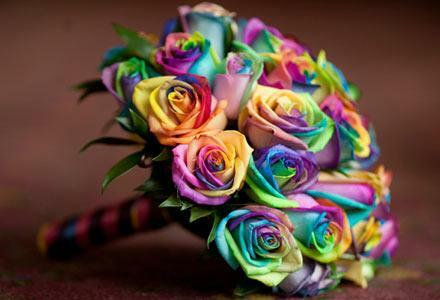 In any case, you can use the wedding bouquet and create rainbow wedding centerpieces with the same flowers. The colorful flowers will give a very beautiful look at every table. 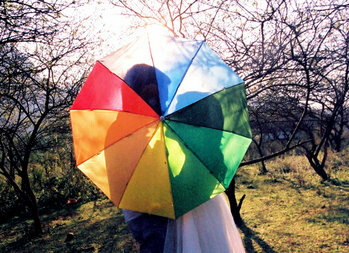 Or the rainbow wedding decoration can be just done with some accessories like this umbrella for the wedding pictures. 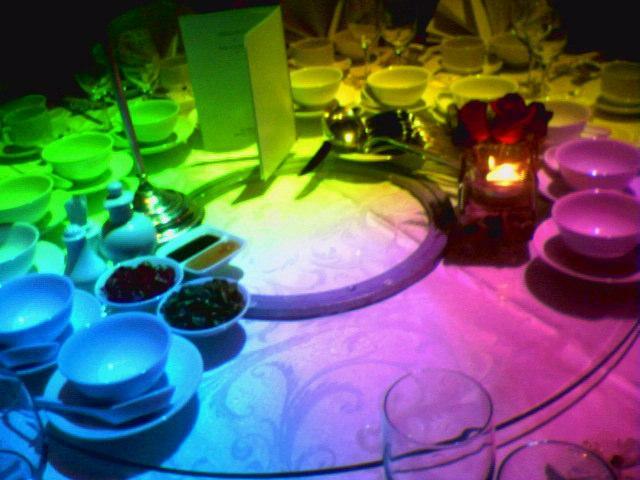 Lighting is also a nice way to create a rainbow wedding decoration for the second part of the wedding. I mean when guests are willing to dance all the night ! As you can see the effect can be atonishing. Last but not least the rainbow wedding decoration can above all be used to celebrate a gay union. Just gonna commentabout this article, after reading whole of this it make me to have new goal about one big event, hope I can read more good news again from you so I bookmark your website. I’m quite fond of it? Cactus wedding decoration : why not ? 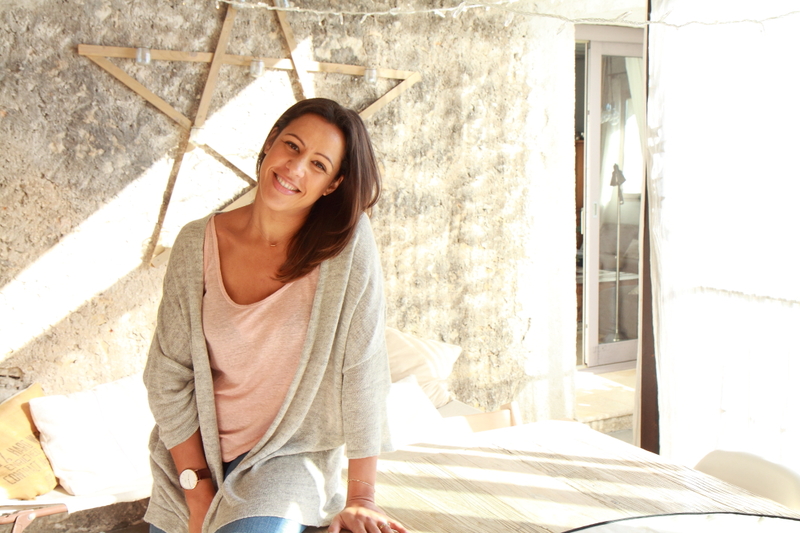 Wedding decoration : what are the Spring flowers ?